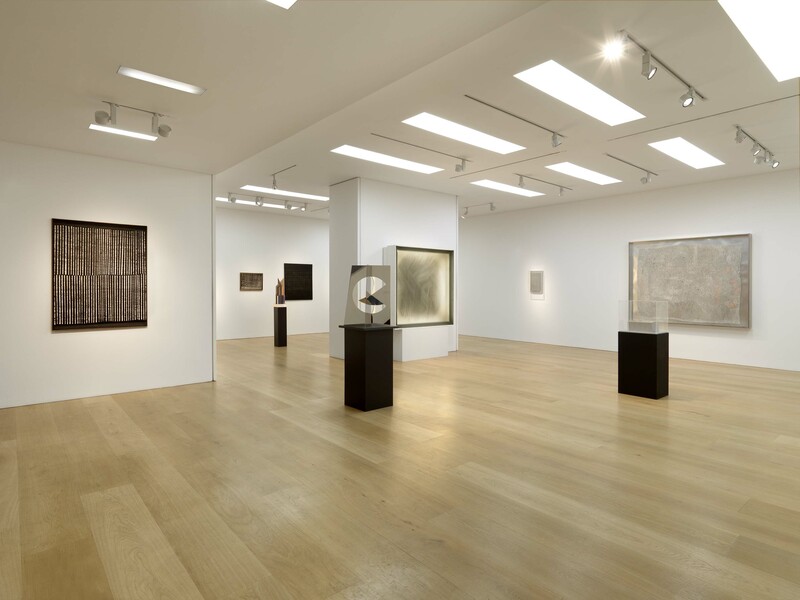 Installation view – Heinz Mack: ZERO & More. 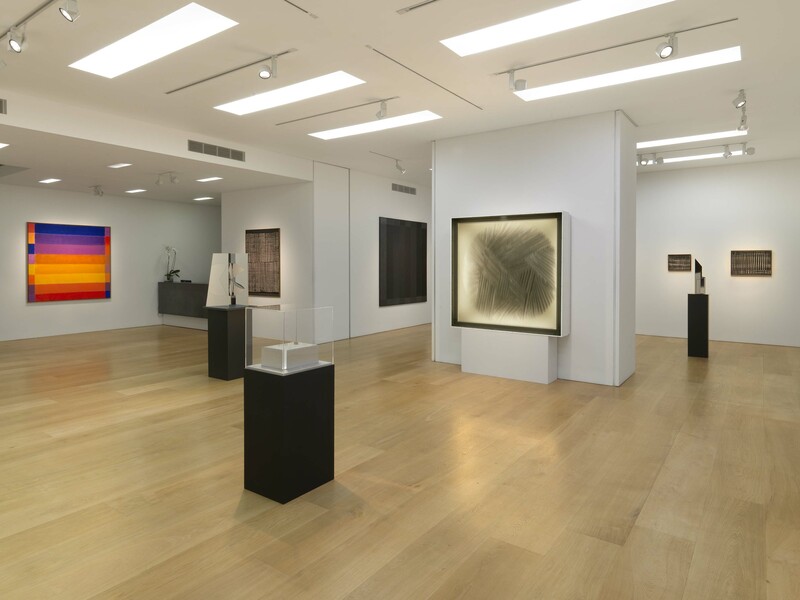 The German-born artist Heinz Mack, who was co-founder of the 1950s and 60s ZERO movement with Otto Piene, has this special show which combines works from the ZERO period with new paintings and sculpture that he has created in the last five years. The earlier works feature black and white as a minimalist force in ‘the adventure of seeking out and discovering the still-white spaces on the map of art.’ (Mack), while the later ones (he returned to painting in the first half of the 1990s) inspired the exploration of colour (Chromatic Constellations) and the effects of prismatic refraction which suggest the idea of movement on the canvas. It is an impressive show. This entry was posted in Contemporary Art, Fine Art, Sculpture, Visual Arts, Works of Art and tagged 20th Century Art, contemporary art, European Art, Fine art, Heinz Mack, Sculpture.